Near zero. That's because the weight of the DANA is heavier, but traction issues will not be solved by a heavier rear end. You will need to look into the suspension of the car, the whole suspension. The cars weight, tire size, etc... All come into play. Perhaps, if you tell us all about the car, perhaps someone has been there and some that with the same or very similar set up! There's a lot of A body MoPar racers and hot street car set ups here. Someone is bound to know! The 8 3/4 is a more efficient rear-end, it also has the advantage of the gears being held in a carrier that bolts to the housing, thus making swapping pumpkins 'relatively' easy. Long story short, the 8 3/4 is an excellent rear end that will take quite a bit of punishment. They are becoming a bit harder to find and as a result becoming a bit more expensive. That being said, if your car is small block and you don't plan on running slicks the 8 3/4 will serve you well. If you run a high torque, high weight car, and throw slicks into the equation than a Dana 60 would be a better choice. 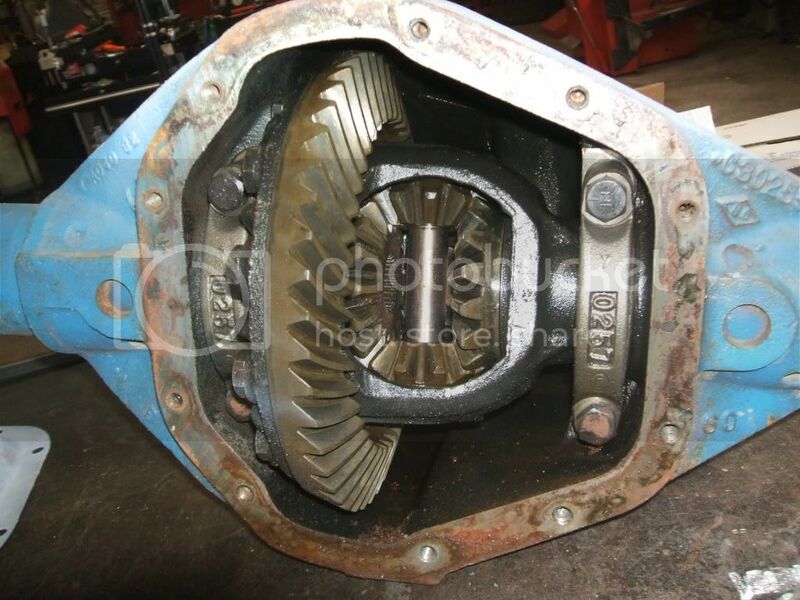 The Dana 60 uses a 9.75" ring gear. Can be built with 40 Spline Axles, has gear ratios from 3.55 to 7.13 available. Has a multitude of Lockers, spools, and limited slip differential available. Has 3.25" Axle tubes. 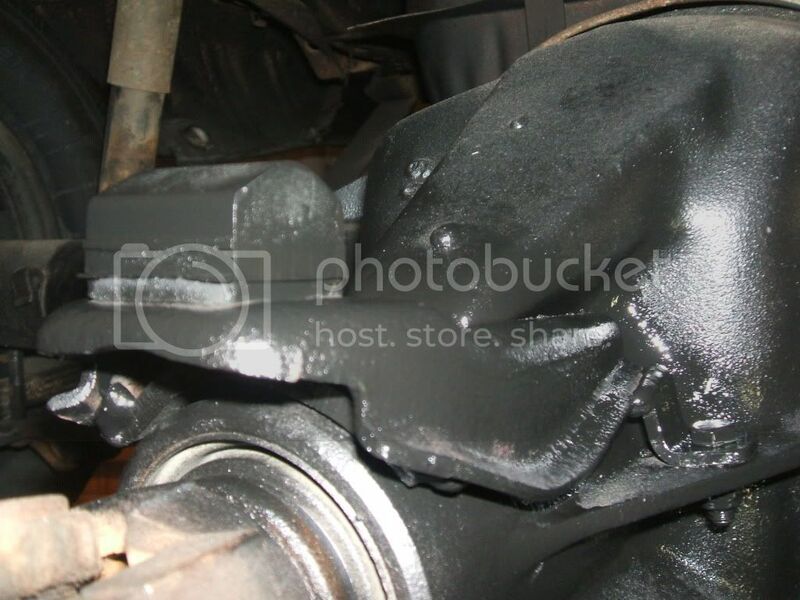 In short the Dana 60 is the strongest rear axle commonly available for a passenger car. The only downside is weight penalty. Depending upon A LOT of factors the weight difference can be as little a ZERO and as much as 60. Hint the only way your going to get the weight difference to zero is by buying a lot of expensive parts, like an aluminum spool, gun drilled axles, light weight brakes, etc. The extra weight won't help you much on traction since it is unsprung weight. swapped out a 8 3/4 for a strange dana 60....has not slowed the car down one bit..fact given the weather conditions I think the car is running faster with no other changes..
thanks for the great replys.. my 66 dart will have a mild built 440 and will also be using a straight axel, 60s gasser style.. it will be driven on the street as well as playing alittle.. If it is a mild 440 then you are probably safe with either rear, but if you are starting from scratch I would just start with a dana and not have to worry about upgrading down the road if you get bit by the "more power" bug. It would be important to know if you are using a Torqueflite or a manual trans. the original '68 SS/B (then) Darts and Barracudas. Automatic cars got the 8-3/4. I am going through this process right now in my 73 Duster. I have a 400 I am going to stroke (not sure how large yet) backed by a 4 speed. I settled on Dana 60 so I have the ability to build the engine a much as I want. I have never broke a Dana 60 yet using spools and/or power loc with 35 spline axles. the street can do them in. and ruin one that could be used in a car that it won't be at risk. when a pinion twist in two or a shur grip cracks up. and easy to find. If your careful you can build a Dana cheaper today than what I've seen A-body 8 3/4s sell for. Using a Strange S-60 housing I bet those are lighter than a converted truck housing, probably by quite a bit. 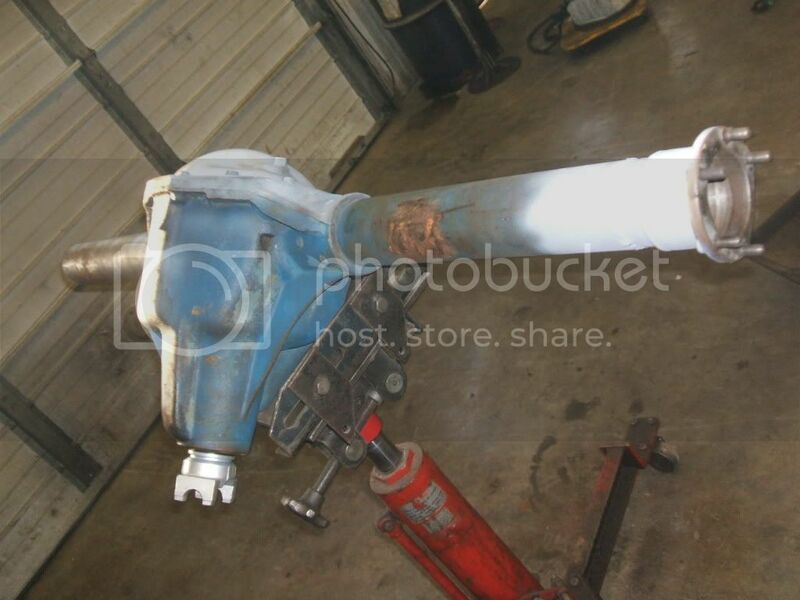 hi, a dana 60 from a 1967 to 1972 ford 1/2 ton pickup is the lightest dana. there is only 32 # difference in weight. it has passenger car ends on it. simple to swap ends to mopar, add 8 3/4 axles and brakes. change front yoke to dana 1350, they are way cheaper vs truck dana's . All straight facts. Good post. Only thing I will add is the 9" weighs exactly the same as a Dana 60 when the 9" housing is braced and all the internal components are upgraded to compete with the Dana. I have 440 With aluminium heads with some m&h tires in the back ran low 12s with a 8 3/4 (489) with no crush sleave never had a issue breaking it over 20 passes with it. A friend of mine has a 70 cuda with crate 426 hemi with a 8 3/4 and he has never broke his either. I would imagine some old rear end may have issue's or with 741 case but if you have a fresh rebuild on a 8 3/4 with the crush sleave delete from doctor diff. You will be fine ! first thing wrong w/ this post is, "M-H" ! Weight difference is 50 lbs from what i've seen..8 3/4 is just fine for most builds guys running in the 9's no problem,,as for the dana being so "bulletproof"..NOT have seen more then a few "grenade" at the track..
'67 was the last year for D44's in the rear on the Ford trucks. After that it was Ford 9, D60, or bigger (on the heavy duty trucks). The '68+ 3/4 ton trucks had full floating axles, but most of them were 30 spline just like the 8 3/4's. I've seen a couple of Ford truck D60's converted for Mopars. You cut the Ford full floating housing ends off, set the tubes up to be the right length so you end up with axles the same length as the 8 3/4's were, and weld on Mopar car housing ends. Obviously you would need a jig to keep everything straight and aligned, but if you have that (or access to one) you can convert a truck D60 over pretty easily. Especially for an A-body, because the it's a narrower rear. For the E-bodies you have to be pretty careful otherwise they end up too short after you cut the Ford housing ends off. Or, of course, you could always just buy custom length axles. The gentleman I quoted below just cut down the D60 and reused his 8 3/4 axles, and had less than $300 into the swap. I can still get truck D60's out of the wrecking yards here for about $170. The truck housings don't have pinion snubbers, but there are ways around that too. First, Cut the housing. Measure three times and cut once here..Gotta get it right. Next, find out if you can, or will have to MAKE a "Thrust block"(piece in the middle of an open 8 3/4 that kinda slides back and forth on the pin to allow the axle end play to be adjusted.) 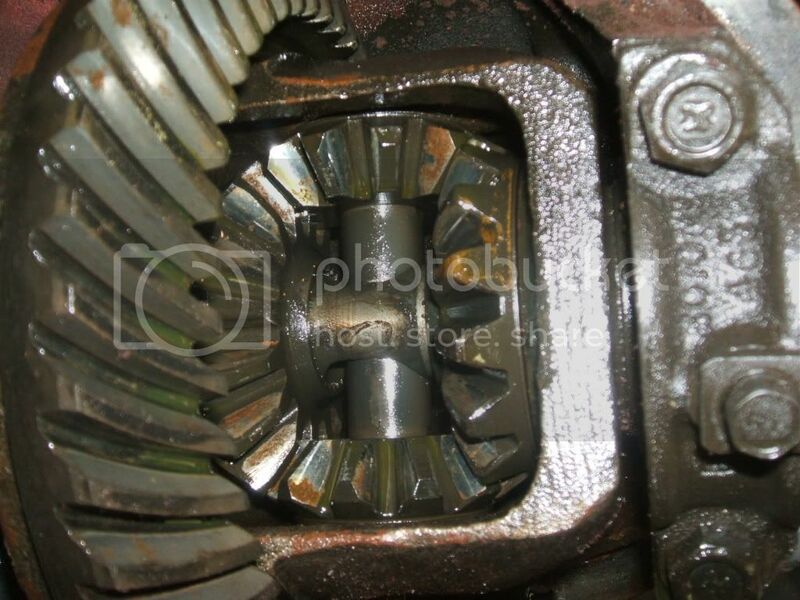 as the Dana 60 had the full floating bearings and no need for this. next would be sliding in your stock or aftermarket your choice, axles and set the end play on the bearings. Here's my Conversion Pinion Snubber off an 8 3/4 reworked to fit a Dana 60..
Now, notice the slider on the pin in the 8 3/4? For the amount of money I spent rebuilding my 8 3/4 using all new parts from Doctor Diff, I could have just purchased a new Dana 60 from him pre-assembled. I build rears and Dana 60's are less $ to build! I don't know what you paid out. but I rebuilt my 8 3/4 this past winter, all new parts from center to drums, except axles. I just ordered a strange 1350 driveshaft to mate with the new 1350 yoke and I still have money to burn, before I reach the price of a dana 60 from Cass. exactly and when you get the dana cut to the CORRECT dimension for your A-body (narrower than stock) the weight is barely any different.